BodyShapes™, CCL Container’s new shaping technology for rigid aluminum packaging, features dramatic curves and contours throughout the full length of the container. The new variety of contours combined with the natural richness of aluminum, makes BodyShapes™ a solid match with the high-end spectrum of consumer products. Shapes range from soft, subtle contours to more dramatic cut angles. Let CCL Container shaping turn your container into an art form. 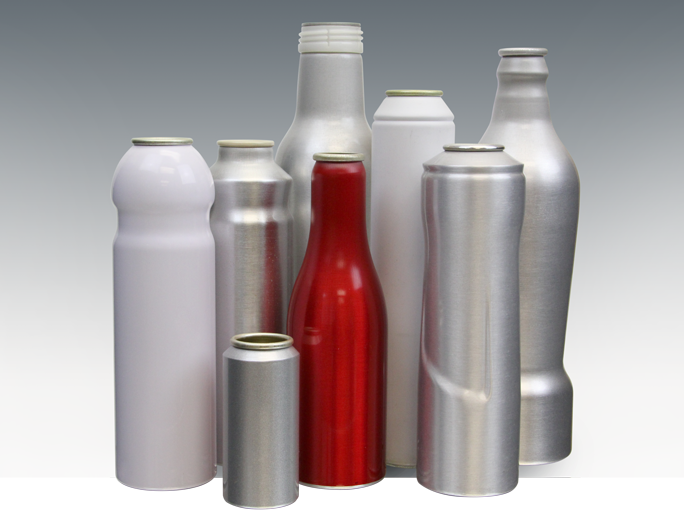 CCL’s Trimline® is a bullet-shaped aerosol design that features a smooth tapering along the container’s shoulder. The seamless aluminum construction creates richness and premium appeal to a variety of hair care and personal use products. Trimline is available in 45mm, 50mm, 53mm and 59mm. A variation of CCL’s Standard Trimline®, the Extended-Neck Trimline® also features the smooth bullet-like shoulder, but with an elongated neck. This design style adds an element of height and prominence to the one-piece aluminum package. Extended Neck Trimline is available in 50mm and 53mm. The Comfort Hold® aluminum package delivers ergonomic and aesthetic advantages. The tapered neck and rounded shoulder form a smooth palm-sized groove for improved dispensing control. Your product will stand out at point-of-sale with this distinctive silhouette. Comfort Hold is available in 53mm and 59mm. The C-Shoulder, defined by its hard-edged, almost flat shoulder surface area, has been successfully used by a large number of marketers to differentiate from more traditional aerosol packaging. C-Shoulder is available in 38mm, 45mm, 50mm, 53mm and 55mm. The Shower Grip’s™ pinched-in shoulder provides slip-free control in wet shower and bath environments. CCL Container’s aluminum package is water-friendly, inside and out. Shower Grip is available in 45mm and 66mm. CCL’s Trimwave is a bullet-shaped aerosol design that features a high fashion appearance for a container that stands out against the more common oval shoulder containers.